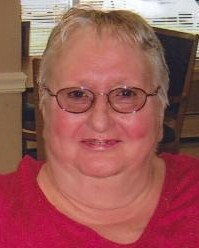 Barbara S. (Shamper) Pabst, 80, of Bristol, passed away Monday March 25, 2019 at Village Green of Bristol. Barbara was born September 19, 1938 in Bristol, a daughter of the late Charles and Jennie (Kasik) Shamper and was a longtime Bristol resident. She was a graduate of Bristol High School and had worked as a Certified Nursing Assistant at Farmington Care Center, now Touchpoints, retiring after many years of service. Barbara enjoyed knitting and crocheting and was a Communicant of Saint Matthew Church in Forestville. She leaves her sisters, Dorothy Larue and her family and Patricia Sepa. Barbara also leaves her children, Jeff, Christopher, Gregory and Debbie Pabst. She was predeceased by her niece and goddaughter, Rebecca Matthews, her brother, Edward Shamper and her step father Walter Lysaght. Family and friends may gather at the Bailey Funeral Home 48 Broad Street in Plainville on Tuesday April 2, 2019 from 8: 30 a.m. until 9:30 a.m. A Mass of Christian Burial in Celebration of Barbara’s life will be held at 10:00 a.m. at Saint Matthew Church 120 Church Avenue in the Forestville section of Bristol. Burial will follow in Saint Joseph Cemetery in Bristol.